Growing rosemary indoors is sometimes a tricky thing to do. Many good gardeners have tried, and despite their best efforts, end up with a dry, brown, dead rosemary plant. 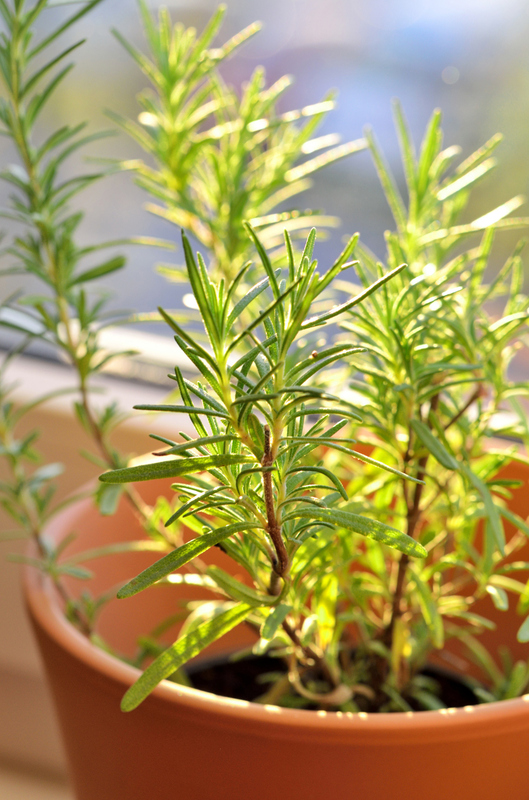 If you know the secrets to their proper care, you can keep your rosemary plant growing happily indoors all winter long. 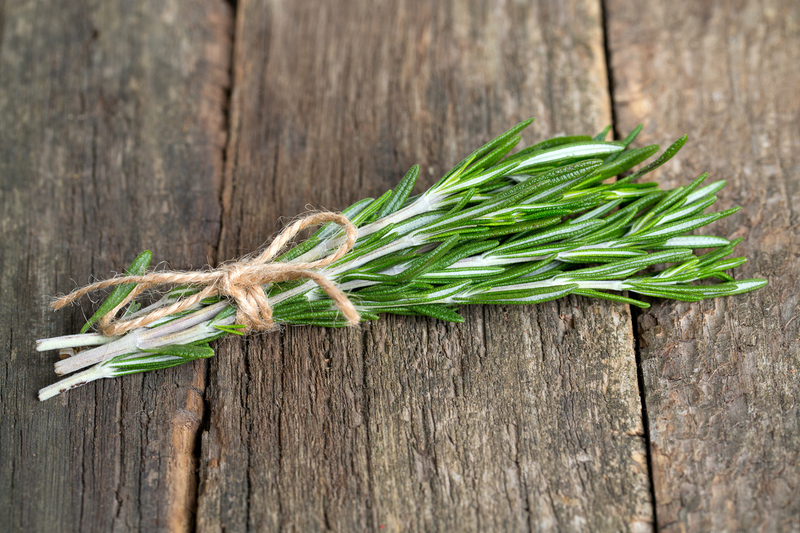 If you can avoid these issues, your rosemary will live happily inside. Let’s look at how to avoid each. Most people aren’t aware that the lack of sunshine is the most common reason for an indoor rosemary to die. Often, rosemary plants are brought indoors without any acclimation. They go from six to eight hours of strong, direct light to four to six hours of weak or indirect light. The rosemary plant is unable to produce enough energy to stay alive on this amount of weak light, and simply dies. The first step to preventing rosemary light starvation is to put your rosemary on a sunlight diet before you bring it indoors. Several weeks before you plan on bringing the rosemary inside, move the plant to gradually shadier areas of your yard. This will force the plant to grow leaves that are more efficient at turning light into energy, which will help it cope with weaker light when it moves inside. Once your rosemary moves indoors, make sure that you place it in the brightest window in your house, which is normally a south facing window. If your rosemary plant is not getting at least six to eight hours of light a day, place a lamp with a fluorescent light bulb as close as possible to the plant to supplement the sunlight. The second most common reason for an indoor rosemary dying is watering practices. 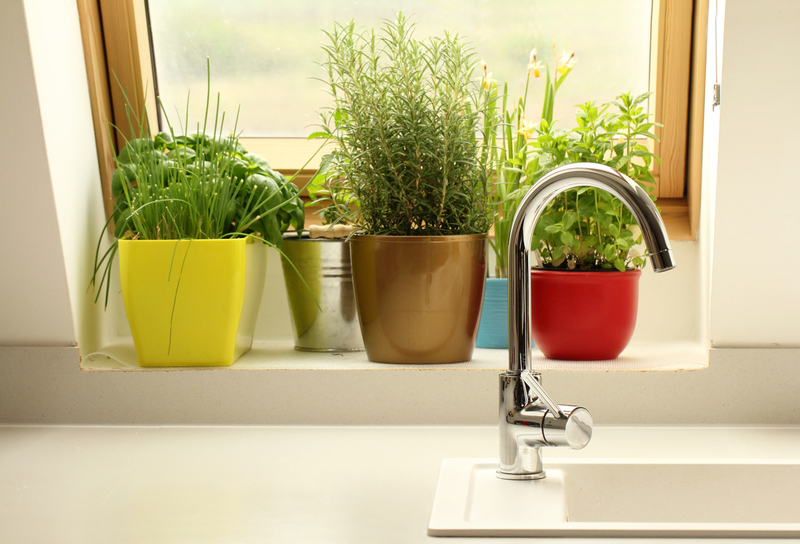 Often, indoor rosemary plants are watered too little or too much. Make sure that the drainage in the container with the rosemary is excellent. Only water when the top of the soil is dry to the touch. But, that being said, never let the soil dry out completely. In the winter, rosemary plants grow much more slowly and need much less water than they do in the summer. Watering too often will cause root rot, which will kill the plant. On the other side, if the soil of the rosemary plant is allowed to dry out completely, the roots will die back and the plant will not have enough roots to support itself. Indoors or outdoors, rosemary plants are very susceptible to powdery mildew. Most homes don’t have the same air circulation as the outside world does, which makes this an even worse problem for the plant inside. The best way to drive away powdery mildew on a rosemary plant is to increase the air circulation around it. Letting a fan blow on it for a few hours a day, or taking it out of more high humidity rooms like the bathroom or kitchen, will help improve the air circulation. You can also treat the plant with a fungicide. To be honest, while pests may get the blame for killing a rosemary plant, most pests will only infest a plant that is already weakened. Unfortunately, most rosemary growing indoors, despite all best efforts, are growing in a somewhat weakened state. The stricter you are with yourself about making sure that your rosemary plant is watered properly and gets enough light, the less likely pests will bother the plant. But, if your rosemary is infected with pests, use a houseplant pesticide to remove them. Since rosemary is an herb and it is mainly grown to be eaten, look for organic pesticides. One that is growing in popularity is neem oil, as it is very effective against pests but is completely harmless to humans and pets. For more information, visit gardeningknowhow.com.